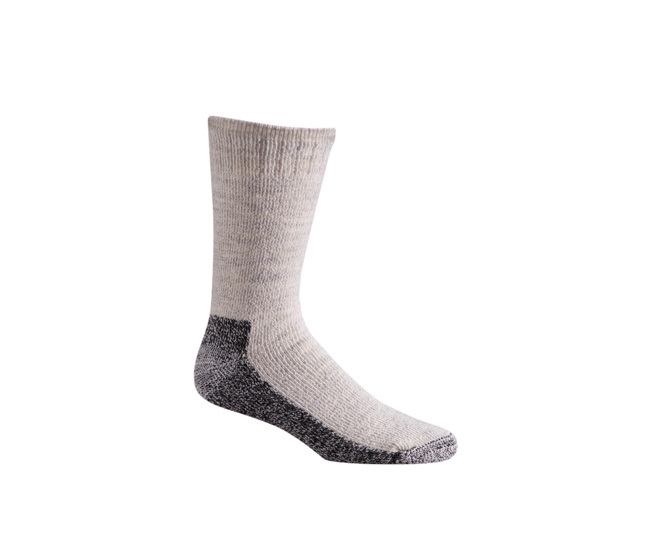 EXPLORER HEAVYWEIGHT BACKPACKING SOCKS-These backpacking socks are made of mostly acrylic. Acrylic is excellent at wicking moisture so that your feet stay warm and dry. The wool blend adds plenty of warmth as well as extra wick dry power. This blended fabric is soft and extremely comfortable. The Exporer backpacking sock is an excellent choice for trips in cooler climates or for wearing in a winter snow boot.